You’ve been playing with Wayne Shorter for quite some time now. In what ways has he influenced your concept of improvisation? Well, the thing that’s so great about him is that he’s always been inspiring and very encouraging in terms of really exploring group improvisation, and using a compositional approach to group playing. So there’s a lot of trust and vulnerability, and a lot of chances taken, you know? It’s very fulfilling. Your last album Remembrance had a unique trio configuration, just you with Joe Lovano (sax) and Brian Blade (drums). That must have been quite liberating for you as a bassist, to not have a chordal instrument on your album. Playing with those guys is a dream come true. They’re such amazing creative individuals, it was an honor and a pleasure. And historically that’s a very interesting configuration, you have the Sonny Rollins records like Freedom Suite with Oscar Pettiford and Max Roach and Way Out West with Ray Brown and Shelly Manne. You’ve got Joe Henderson’s State Of The Tenor records with Al Foster and Ron Carter. So there’s a lot of historical documentation on the freedom and the freshness of that sound. And that inspired me a lot, as well as from just playing over the years in situations with larger groups where it would break down to a trio, where the pianist would lay out and it would just be saxophone, bass and drums. In Wayne’s group it happens that way sometimes, in fact sometimes it’s just Wayne and I. So there’s an openness harmonically in that sound, where the bass can dictate the harmony. Or the saxophone can go other places without worry that the pianist won’t be able to follow, and be able to try a bunch of different things without the chords sounding. They’re going to create the harmony from the linear exploration that they’re doing, you know, the melodies and the lines that they play will spell the harmony without block chords having to be sounded. For the bass, its a lot of room contrapuntally and harmonically. You can fool around and do a lot of stuff rhythmically, harmonically and melodically. You can play lines against a solo, you can play more foundationally, you can do a lot of different things. I always assume that the great upright players start out on upright, but you started on electric. Who are your early electric bass influences? James Jamerson, Chuck Rainey, Willie Weeks, Paul McCartney. Guys like John Entwistle also. I was being influenced by all the R&B and Motown records that were being made, and even the British rock records like the Beatles, the Who and the Stones, and all that sort of stuff. And Jimi Hendrix too. Being born in ’59, the sixties were an interesting time when I was coming up, as a young person hearing a lot of incredible music on the radio. But the Motown music and the soulful bass playing definitely made me want to play bass. And then after that I heard Ron Carter and Ray Brown. I heard many people, but Ron and Ray were the two primary, foundational guys for me. I heard the guys around in the 70’s who were very active, such as Eddie Gomez, Dave Holland and Charlie Haden. I heard people like Sam Jones and Percy Heath on recordings, Niels Orsted Pederson, Rufus Reid, you know, different people. And then down the road, of course, I heard Pettiford. I was listening to so many records, and buying so many records. And you soaked it all in. Yeah, I basically tried to soak as much as I could. As I got older I really got into Pettiford, he was unbelievable. And also Paul Chambers, I have to mention him. You have a Pro Tools setup at home for recording on other people’s projects. It would seem that you could stay as busy as you want with your own performances and your own projects. What’s your motivation for the outside work? Right, the Pro Tools setup could turn out to be a little sterile. Well it can be wonderful too, you know, you can still put in a lot of yourself and all your emotion onto the parts that you play. The major difference obviously is the interaction in the moment. I can interact with the music that people send me, but they can’t interact back. I can play off of what they did, and I’m used to doing that, but they won’t have the opportunity to respond in the moment. I mean, they can respond if they overdub some stuff after I do my stuff. But for some projects it works fine that way. It’s about a different kind of production aesthetic, or whatever, a different kind of music they’re doing… then it’s fine. Of course for a strictly jazz project, I like to be with people. So people will send you a file of their project, or something. Yeah, they’ll say can you put bass on this. And it goes in waves, sometimes you get some response and sometimes it will be a while before you hear from people. I live in New York so I still get called to play live, I go and work on people’s records when they come to town. I’m sure you’re getting called constantly for that. Well, I wish more even. When I was younger the studio scene was more vibrant on both coasts. Now there’s not as much density in the work that there used to be. But I’m still pretty active, so I can’t complain. Would you say there are any shortcuts when it comes to improving sight reading? The best shortcut I know of, and the one that’s maybe most difficult for people to discipline themselves to do, is to do it every day. Every single day you’ve got to practice your sight reading if you want to get better fast. And one of the big rules is that you’re not allowed to stop. So do it every day, at least for a half-hour, and set the metronome at a speed where you can get through the whole thing without screwing up. If that has to be really slow, let it be, you know what I mean? Because the whole idea is for you to practice the skill of focusing, and making it from top to bottom without a mistake. And not stopping and correcting your mistakes? You learn how to keep going. You see, that’s a big skill. Sometimes that was really hard for me, if I made a mistake I would want to stop. But If you’re playing with other people you can’t just stop every time you make a mistake, they expect you to keep going. Are there any particular books that you would recommend for improving sight reading? Well, I have a book titled 60 Melodic Etudes, I don’t know if you’re familiar with that. That could be a help. In that book there’s a lot to deal with technically and melodically, so I didn’t make the rhythms too hard. There’s a lot of eight notes and quarter notes, but not a bunch of syncopation in that book. But all the syncopated stuff you can get online nowadays, there are a millions places where you can get your chops up on sight reading. What I used to do when I was a kid was to practice out of drum books for rhythmic variations. I would just play one note and practice all these different rhythms. When I was coming up one of the books that was popular was Louie Bellson’s Modern Reading Text. But there are others as well. Be sure to read next month’s February issue of Bass Musician for the final part of my interview with John Patitucci. For more information about John, visit johnpatituuci.com. 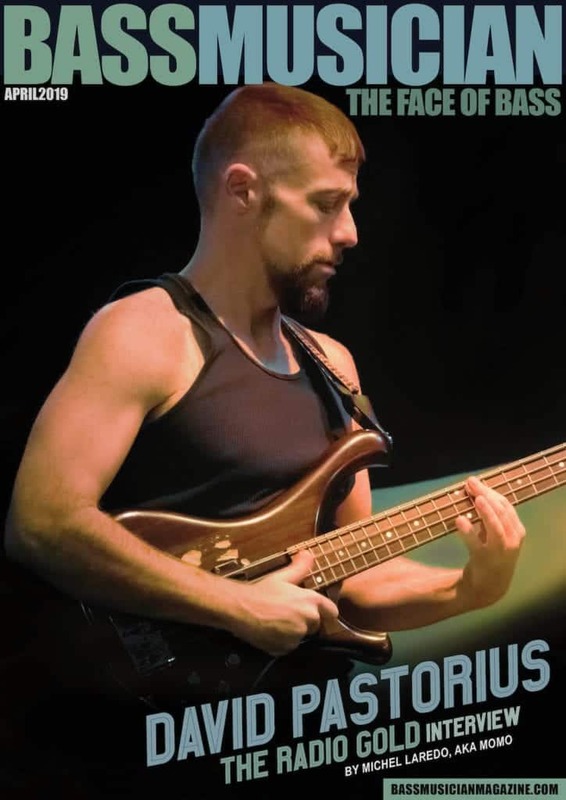 He is also available for online lessons for bass students of all levels at ArtistWorks.com.